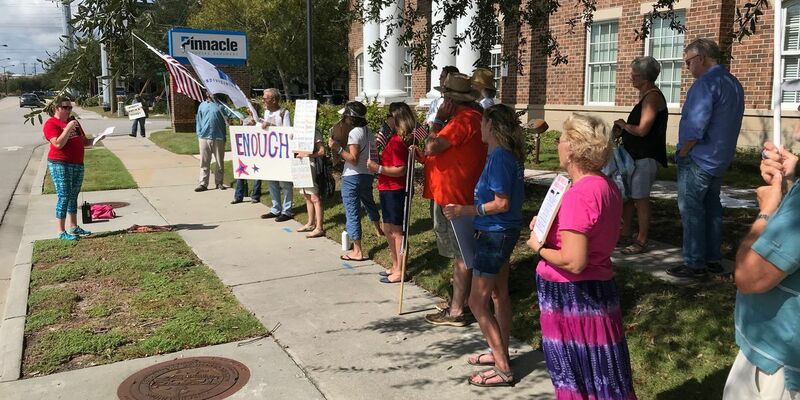 CHARLESTON, SC (WCSC) - Roughly 20 people from the group Indivisible Charleston showed up outside Sen. Lindsey Graham's office to rally for what they call "sensible" gun legislation. Specifically, they're asking for the state to mandate background checks and ban semi-automatic weapons. They also want to ban bump stocks, which essentially turn weapons from semi-automatic to fully automatic. Tuesday's rally was held in the wake of the mass shooting that happened in Las Vegas. The group will hold another rally Saturday at The Battery at 12 p.m.